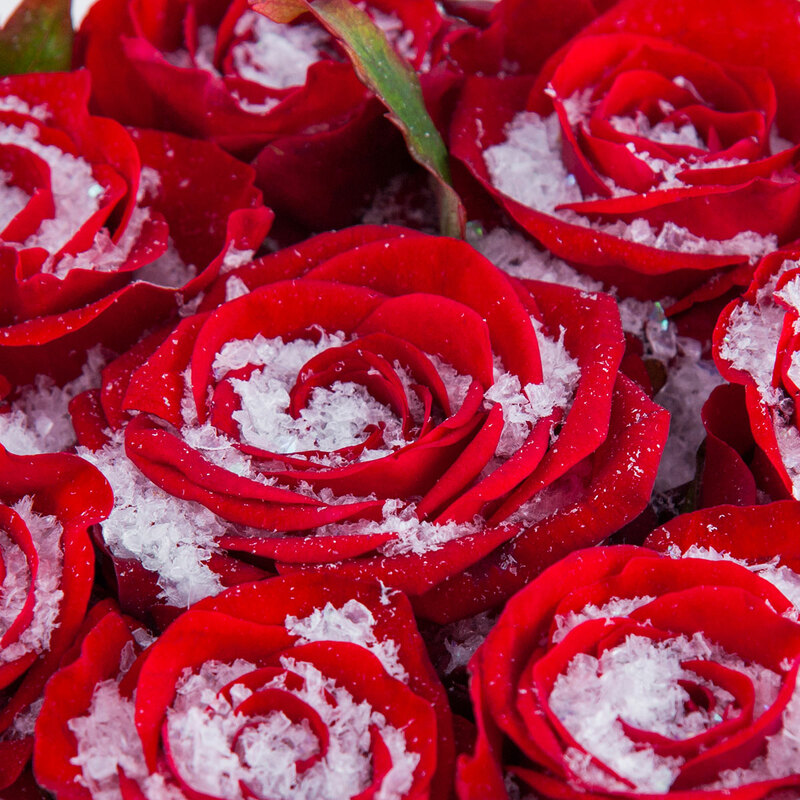 Snowy landscapes, a nice fire and spending time with friends and family. This Christmas piece captures the magic and warmth of the most beautiful period of the year: Christmas. 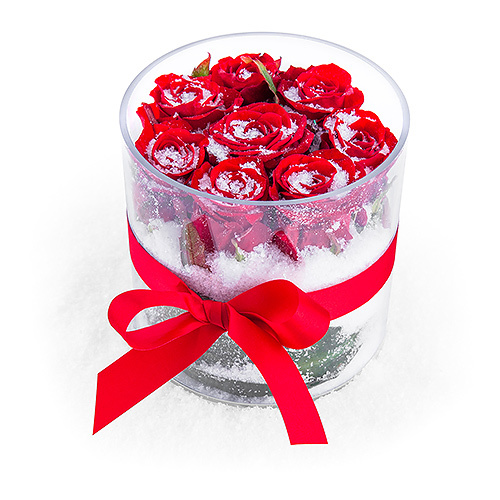 This unique Christmas arrangement is hand made by our best florists with top quality red roses, beautifully tied with fresh green and powdered with snow. The gift is stylishly presented in a beautiful vase and tied with a red bow.